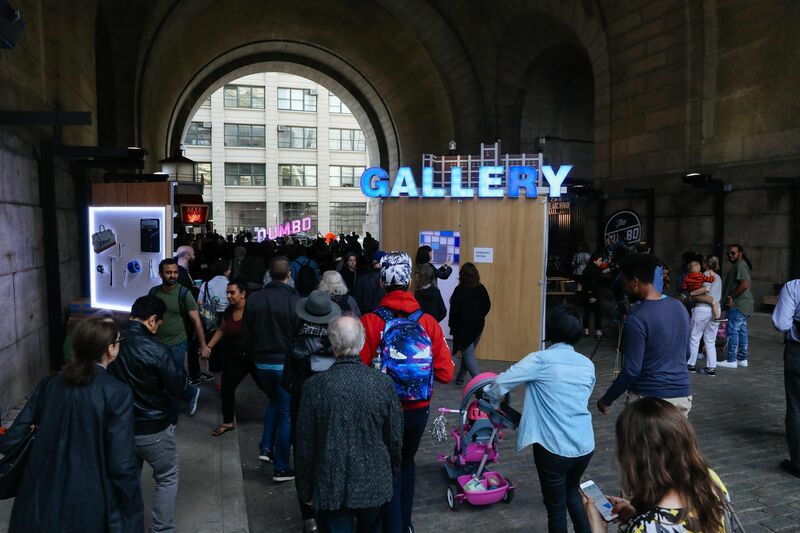 As part of DUMBO, Brooklyn's free, weekly summer concert series “Live at the Archway”, Tfnf’s The Space Station is assembled each Thursday morning to present a one day show and one night opening of new artists every week–before disassembly that same evening! The Live at the Archway show is in response to the anniversary of Hurricane Maria in Puerto Rico, and includes a color guard procession, vinyl salsa set by Christian Martir, global bass dance set by DJ Bembona, drumming by Legacy Women, a meditative Howl by Liana Naima, dance and music rituals, and a “magic market” curated by Brooklyn Brujeria. The coordinating In the Gallery exhibit is an Altar a Los Canarios, filled with yellow flower altars, encouraging attendees to write messages of what “joy as resistance” means to them on the outside of the gallery.